Buying and maintaining a vehicle is an important investment that you and your family undoubtedly rely on. Many factors will influence the type and frequency of services your vehicle requires in order for it to live a long, healthy life. Certain engines require longer or shorter periods or miles between a required maintenance routine. That’s why it’s very important to familiarize yourself with your specific vehicle and your typical driving habits. This will help you be better prepared to provide timely and effective service. The best way to ensure you are doing everything within your power to maintain your automobile, and hopefully not potentially void the warranty, is to read the owner’s manual. If you use your vehicle as a daily driver, then you want to pay attention to the miles you’re adding to your engine compared to the amount of time that has passed since the last service. The number of miles you rack up will determine when your next oil change or coolant flush should occur, when to change your timing belts, and so on. Remember, the best type of maintenance is preventative maintenance. It’s no secret that automobile owners can save thousands of dollars long term simply by keeping up with scheduled routine service. You never want to put off servicing your car. That’s because many things can cause substantial damage in a relatively short time. This could end up costing you more for repairs in the long run than if you catch it as it’s happening. A good rule to follow when it comes to how often you service your vehicle is to pay attention to your mileage and inspect your car every 3,000 miles. This can also be three months, depending on your driving habits and your specific requirements. The question of whether you should wait for a certain mileage to roll over or for the specified amount of time to pass is simple to answer; whichever comes first. If you’ve put 3,000 miles on your vehicle in one month’s time, you don’t want to wait for three months before going in for a tune-up. The same goes for if you haven’t driven your car anywhere near 3,000 miles over a three month period. 3,000 miles or three months is just an example, every type of maintenance has a lifetime that can range wildly. When in doubt, it’s best to check with your local auto shop. A daily commute that involves miles of stop and go traffic will call for different maintenance than people who only use their car for short trips to and from the grocery store or running multiple errands throughout the day. 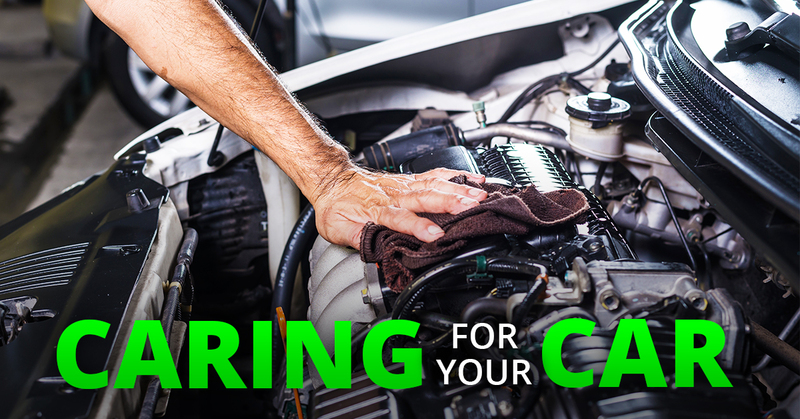 Familiarizing yourself with your vehicle will make you more comfortable with catching potential issues early, while also helping you understand the importance of routine maintenance. Carry a tire pressure gauge in your glove box and check your tire pressure every few months to make sure it’s correct and not affecting your mileage. You can also check your tires for inconsistent wear (get them rotated) or the overall life left in your tread (use a penny). Don’t neglect the alignment of your tires either, when you’re driving in a straight line do you pull hard in one direction? There’s a fix for that! Pay attention to things underneath the hood. It might seem intimidating, but it’s not very hard to check the levels of the fluids that your vehicle needs. Use your owners manual to locate and check the levels of fluids every few months to catch leaks or other issues. Take a look at your batteries, especially throughout the winter. Cold weather can drain batteries, and it’s good to inspect the contacts. Clean away the build up around the contacts, and check for leaks. Other easy maintenance routines you should familiarize yourself with are replacing your windshield wipers and filling up your wiper fluid, changing air filters, testing your brakes for surging, and ensuring that you’re using the correct fuel that your car requires. When in doubt, you can always call a reliable pro to help show you how it’s done. The experts at Action Gator Tire are here to help you with all of your auto care needs.